When passion is real, every terrain can be a road. Don’t worry about getting dirty; just enjoy the fresh air, sunshine and smiles of your loved ones, enjoying off road adventure with you. The Jeep Wrangler is a vehicle of our choice. It is commonly associated with freedom and exploration. Jeep Wranglers can be regularly seen traversing creeks and climbing steep hills. This rugged vehicle has a past that is just as rugged as its looks and reputation – the current Jeep is descended from the ‘Jeep’ used during World War II. They were small utility vehicles designed to cover rugged terrain. One of the Jeep’s most distinctive features is its front grill. The slotted grills were introduced by Ford as a cheap and light option for the vehicle. As well as being quick and easy to make, it also allowed for efficient air flow into the engine. This meant the vehicle was ideal for hot climates, such as jungles where it was commonly deployed. In 1987, Chrysler entered with the Jeep Wrangler, which was an update on the earlier civilian models. With improved handling and some cosmetic changes, the Jeep Wrangler became a popular car. The multiple generations of the Jeep Wrangler have all maintained ability of the original vehicle to cover any type of terrain, in any weather. Today, the Jeep is happy to dive into rivers and tackle muddy trails, but is also happy to cruise around town tackling nothing more strenuous than speed humps. It has become a versatile vehicle for all occasions. 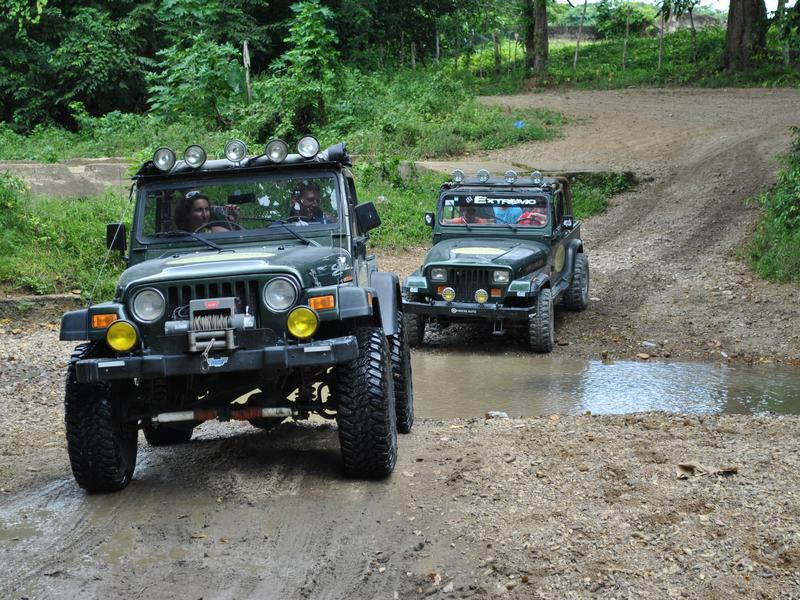 We would never use anything else than original Wrangler Jeep for our specialized Just Safari ™ Jeep Tours adventures.